With KNOWLEDGE-do the RIGHT THING for your pet. • Understand your pet better. • Get advice on Health and Nutrition. 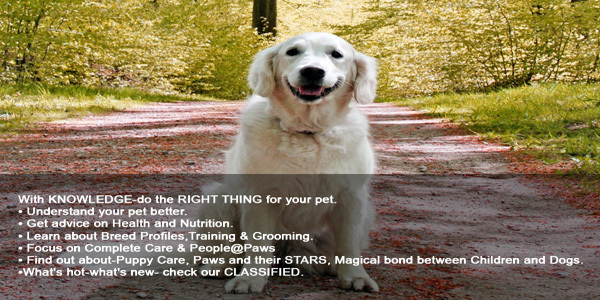 • Learn about Breed Profiles,Training & Grooming. • Find out about-Puppy Care, Paws and their STARS, Magical bond between Children and Dogs. •What’s hot-what’s new- check our CLASSIFIED.